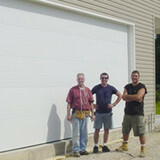 Welcome to Pro-Lift Garage Doors of St. Louis and our Houzz page! We're glad you're here. 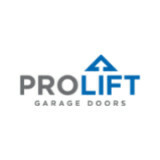 With a serious focus on customer satisfaction, coupled with industry experience and plenty of professionalism, Pro-Lift can help when it comes to everything, and anything, for your garage door including: new garage doors and installation; garage door repairs and maintenance; annual safety checks and tune ups; all residential garage doors and many commerial overhead doors (light industrial) too. We're a premier garage door service provider... from minor or major repairs to a full garage door replacement, we can help. Give us a try! 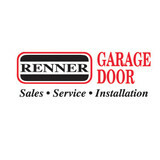 Renner Garage Door of St. Louis offers a full suite of commercial and residential garage door services for the entire St. Louis, MO area, including: New Garage Door Showroom Garage Door Installation Garage Door Service & Repair Garage Door Parts Garage Door Openers Garage Door Accessories (remote controls, keyless entry systems) Commercial Overhead Door Installation, Repair, Openers, & Accessories Visit our garage door showroom today to find your dream garage door. With a friendly and knowledgeable staff, our St. Louis garage door company makes sure all your garage door needs are completely satisfied. Covenant Garage Door is a locally-owned company eagerly serving the St. Charles, St. Louis, Warren, and Lincoln Counties. -Providing you with people you can trust and quality products at the lowest possible cost. -To communicate and respond quickly amidst your busy lifestyle. The most trusted name in garage doors since 1921. Garage door repair, replacement, new build, remodel. The Overhead Door Company of St. Louis™ installs new garage doors, garage door openers, and garage door accessories to enhance your home’s value. We provide the best value for all garage door-related products and service, and use only the most dependable parts. 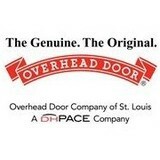 Contact The Overhead Door Company of St. Louis™ today to learn more! 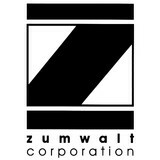 Founded in 1924, Zumwalt Corporation has focused on residential doors, windows and industrial products. Located in St. Louis, we service a wide range of customers in both the Missouri and Illinois areas. We take pride in the fact that we are a family owned and operated corporation and treat our customers in a friendly, yet professional manner. For years, local residents and businesses have relied on us to supply their facilities with exceptional products and services. Gateway Door And Contracting, Inc.
GDS or Garage Door Specialist’s proudly serves the greater St. Louis area with garage door sales, service and installation. With over 15 years of experience we have fixed or replaced thousands of residential and commercial garage doors and openers throughout the area. We offer competitive pricing and the best service in the industry. We also work with all of the major home warranty companies so there is a good chance we can work with them directly to resolve your problem. Please call us today at 314-795-3184! The trusted window, door, kitchen repair and construction professional in the St. Louis area. Thermal windows from basic builder grade white to high end replacement grade in a range of colors, wood grain look finishes, glass options, etc. In vinyl, aluminum and real wood; Exterior doors from basic builder grade to high end replacement grade in steel, fiberglass and real wood, in a range of finishes from un-painted, to stained, to factory applied paint finishes; Interior doors from basic builder grade to high end, pre-finished in a variety of wood species and stains; Storm doors from basic aluminum to high end aluminum or steel round top or custom shaped doors all with factory applied paint finishes; Kitchen and vanity cabinets from knock down box cabinets, to Birch Legacy Complete custom style and finishes; Clopay Garage doors complete line from basic to high end. We sell complete projects under contract, or retail products for the do-it-yourselfer, or wholesale products for the true contractor. Homeowners often underestimate the aesthetic value of garage doors, but they’re actually a great opportunity to boost a home’s curb appeal. That’s where garage door sellers and installers come in. Whether you are building your first home or remodeling an existing one, a garage door dealer in Town and Country, MO can help you choose a stylish garage door that will enhance your home’s exterior and provide security for your car and belongings. What kind of services do Town and Country, MO garage door dealers and installers provide? Garage door professionals specialize in the selection and installation of residential garage doors and openers that fit your budget, style and needs. This includes choosing a garage door style — or designing a custom garage door — that blends in with your home’s exterior, selecting materials, determining a technological system that supports your security and access needs, determining proportions and dimensions, finalizing decorative designs and ensuring that everything meets Missouri compliance and building codes. Find garage door sellers and installers in Town and Country, MO on Houzz. Narrow your search for Town and Country, MO garage door sellers and installers by selecting the nearest city or zip code. Look at portfolio and product photos, and read reviews to find the best Town and Country, MO garage door professional for your home.